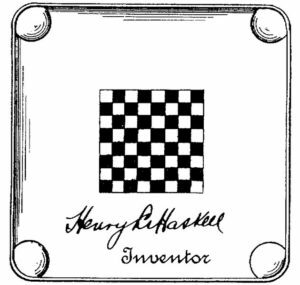 Does the name Henry L. Haskell ring a bell? It should, he is the founder of the Carrom Company. Founded in 1889, Carrom was formally called the, Ludington Novelty Company. Headquartered in the beautiful town of Ludington, Michigan. This is where it began, Haskell started bringing families fun and games, we still enjoy now. Recently, Carrom received a visit from Henry Haskell’s Great-Granddaughter. It was a great pleasure to give her and her family a tour and send them home with a game we wouldn’t be able to enjoy without her grandfather. Haskell was a Sunday school teacher who noticed a growing group of young boys loitering around pool halls, he didn’t like them being exposed to bad habits and started to think of ways to occupy them another way. In 1892 the first Carrom game board was invented. He called it the “Carroms” and it was meant for the entire family to get together and play. In the first year of production there were only about 2,500 board games made. Each board was made by hand, they could only produce about ten board games a day. In 1900, Justus Smith Stearns, a local businessman purchased part of the company and took over its management. More products were added to the game line and were sold throughout the U.S. — Haskell remained the Secretary during this time. Production had increased to 600 Carrom game per day, which is a large improvement from 1892 — and even more than we produce today. Ludington Novelty Company bought out the game manufacturer Archarena Company out of Illinois, in 1902. The company then became the Carrom-Archarena Company and was one of the largest employers in Ludington, Michigan. By 1912, the company became the Carrom Company and products were sold in the U.S., Europe and Asia. In 1916 Haskell obtained the building at 801 N. Rowe Street in Ludington, by 1917 the new Haskell Manufacturing Company was formed from the Carrom Company. The Carrom-Archarena company became part of the Haskell Company, located in the same building. Later they added more companies, like the Haskell Boat Company. The original building can still be seen today in Ludington, you can see that the architecture hasn’t been changed. With the growth of the enterprise, a second plant was built in Grand Rapids, Michigan in 1918 and was called the Haskelite Manufacturing Corporation. Haskell remained with the company until 1930. The Great Depression had some impact on the business and it became Carrom Industries in 1939. 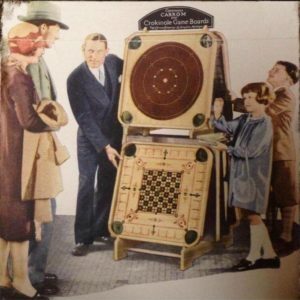 After Haskell’s passing in 1940, the Carrom Company changed ownership a few times until 1961, when three key company employees – William J. Muekler, Robert Erickson, and Albert DelZoppo – resigned and started their own company to market a copied game. The first letter of their last names formed their company name, Merdel Game Manufacturing Company. In 1951 Carrom Company (Carrom Industries) was bought out by Shampaine Industries and the company was headquartered in St. Louis, making furniture for institutions. 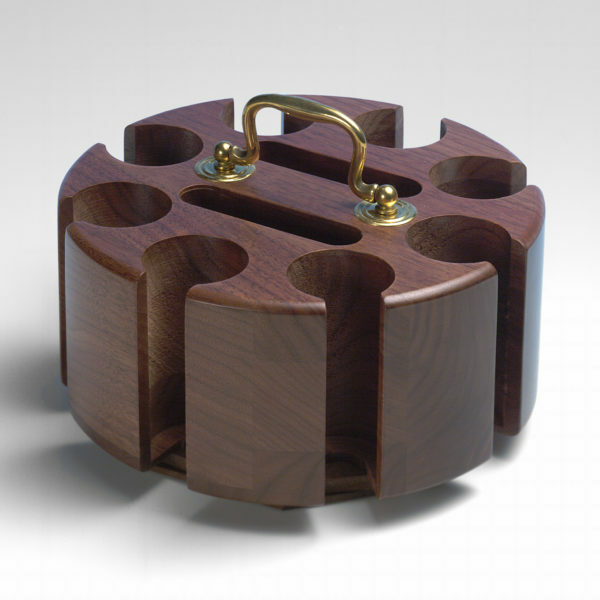 The Carrom division in Ludington became a fractional part of the business as a whole. The journal, Wood Working Digest published an estimated 5 million boards had been sold by 1958. By the 1980s the Carrom Company was selling between 80,000 and 100,000 game boards annually with the help of re-sellers and department stores. During this time, Merdel started producing the same game board as the “Carom” game, with only one “r” — causing a lawsuit from Shampaine Industries, which was later dropped. In mid-1967 the Affiliated Hospital Products Inc. acquired Shampaine Industries, the trademark for “Carrom” with the double “r” included. They had several divisions and the Carrom game was just a small portion, which was sent to Red Lion, Pennsylvania for a short period in 1968. In 1972, the Carrom game division moved to Sardis, Michigan, but closed down later that year. Merdel then purchased the division and along with it the rights to “Carrom” (double “r”) and started marketing the game with the original name. The Lightning Guider Sled Company of Duncanon, Pennsylvania acquired Merdel in 1981 and added the Drueke Company in 1992 which brought more games like; backgammon, checkers, cribbage and chess in regular and travel-size sets. 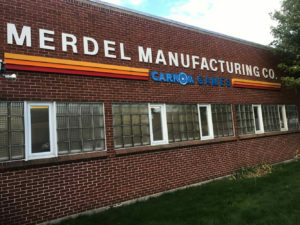 Merdel Manufacturing Company continued to produce Carrom game boards, as well as Drueke products and eventually added air hockey, pool tables and other games to the Ludington production, by 1996. 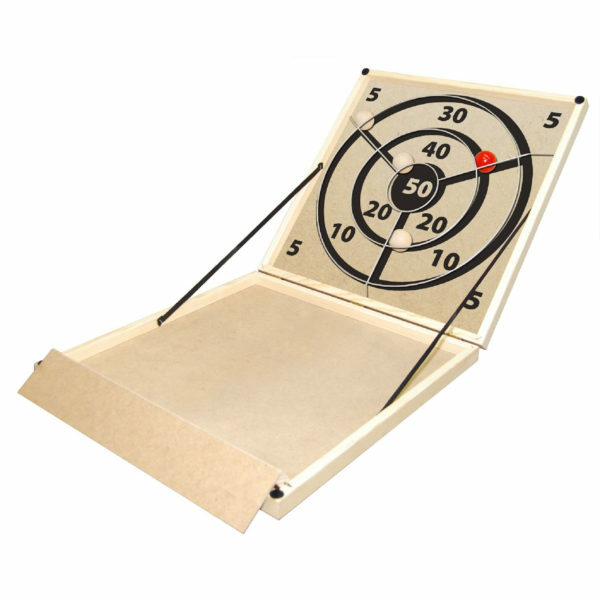 Today, Carrom is still in the Merdel building on Dowland Street and you can purchase a Carrom Game Board along with many other classic games like; Shuffleboard, Skittles, Bowl-A-Mania, Hi-Bol, Nok Hockey, Balance Boards and more. 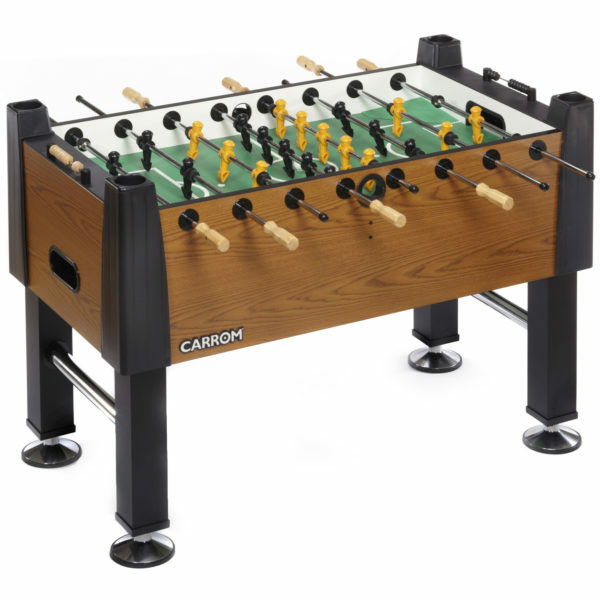 We also have great sport games like; Foosball, Stick Hockey/Bubble Hockey, and Air Hockey tables. 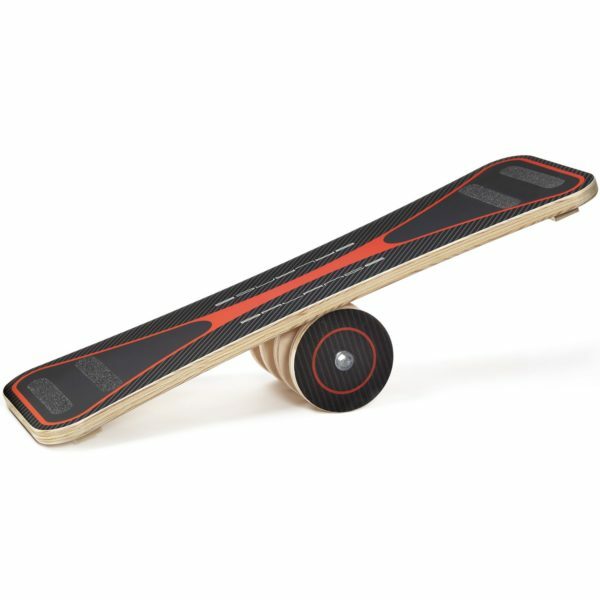 Complete your game room and bring your family endless fun.